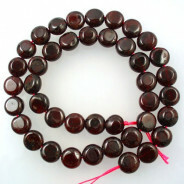 Garnet Gemstone Round Faceted 8mm Beads (50pce Strand) - 40cm /16'" Strand. 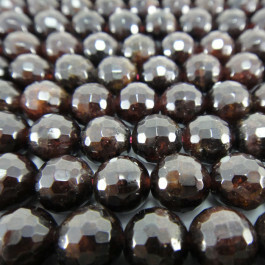 The name garnet is derived from the Latin word “granatus” meaning “like a grain” referring to its occurrence. Red garnets were the most commonly used gemstones in the Late Antique Roman world. It is the stone of purity and truth. Symbol of love and compassion. 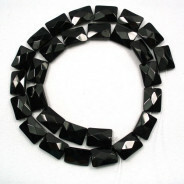 When worn as jewellery it is believed to increase one’s self esteem and bring constancy to friendships. 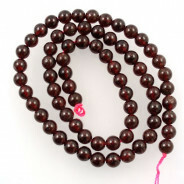 It is also believed to stimulate success in business.